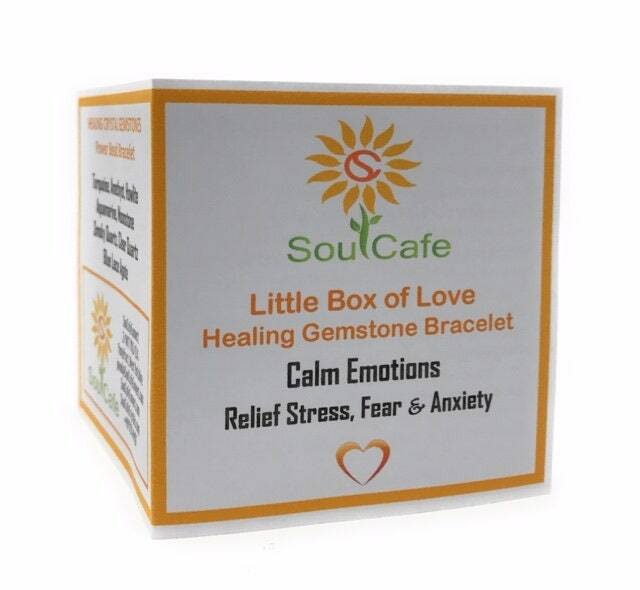 Lovely Healing Bracelet to help Relieve Stress, Fear and Anxiety and Calm Emotions. 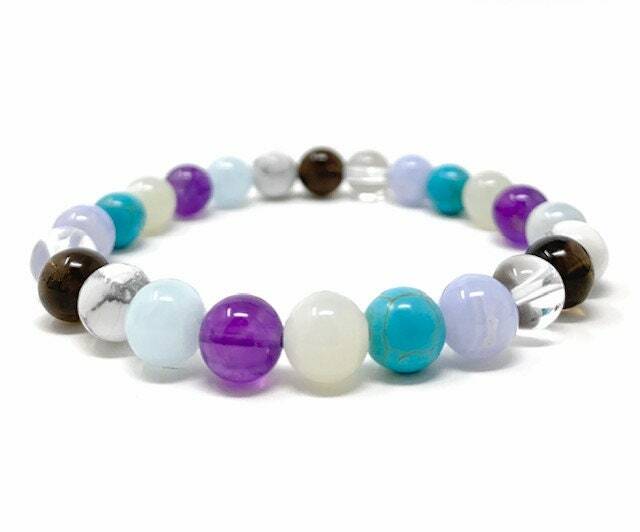 The gorgeous crystal gemstones used to make this power bead bracelet have been specially chosen to Relieve Stress, Fear & Anxiety, and Calm Emotions - Making this the perfect gift for yourself, friends or love ones. 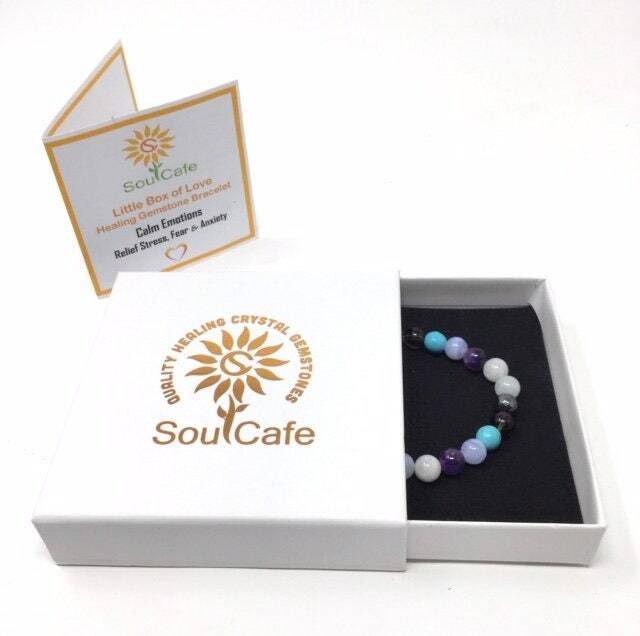 The bracelet comes in a beautiful embossed gift box with a Soul Cafe tag. 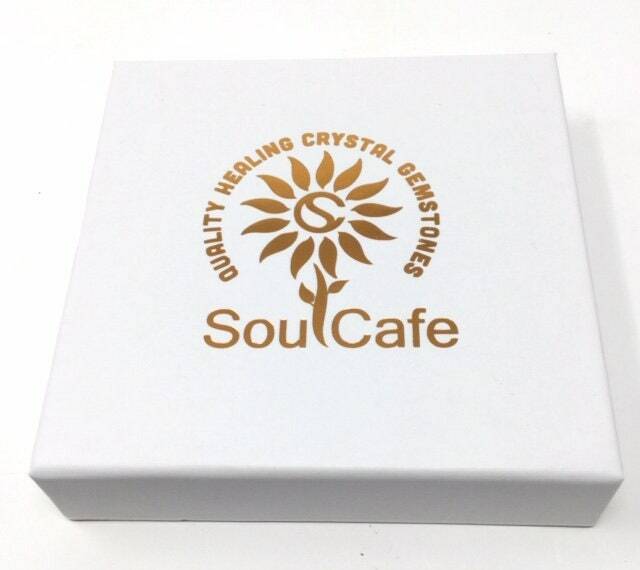 The tag contains information about how each crystal supports relieving stress, fear & anxiety, and calming emotions. Aquamarine brings inner peace, hope and self-love. It is used to dispel anger & fear. Amethyst is a calming stone that aids peacefulness, happiness and balance. Turquoise a stone of purification, it releases negativity, calms nerves helps ease panic. Moonstone calms negative emotions and provides deep emotional healing. 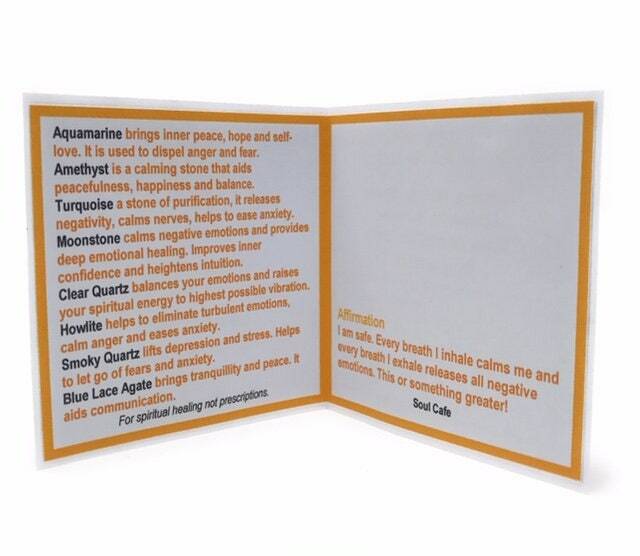 Improves inner confidence and heightens intuition. Blue Lace Agate brings tranquility and peace. It aids communication. Smoky Quartz lifts depression and stress. Helps to let go of fears and anxiety. Clear Quartz balances your emotions, raises your spiritual energy to highest possible level. Howlite helps to eliminate turbulent emotions, calm uncontrolled anger and ease anxiety. NB: for spiritual healing not prescriptions. SoulCafeConnect has access to limited personal data for core business purposes. This shipment took longer to cross the pond, but hey---it's the holidays. I know my high-strung sister will love her new bracelet.